The nominal voltage selector switch allows to switch between three voltage ranges. 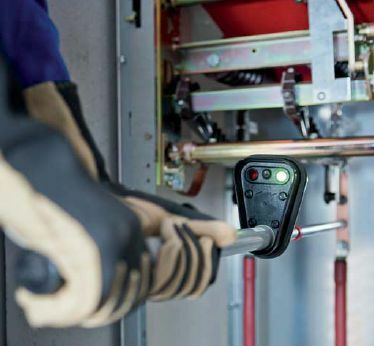 For safety reasons, the voltage detector can only be switched on if the selector switch is switched to the most sensitive range of 3 kV to 10 kV. The switch snaps into the relevant position and provides protection against inadvertent switching. A magnetically operated, wear-resistant reed switch changes the switching position.